It can be devastating for a tween or teen to be told he or she needs to wear glasses, especially if it is sudden. 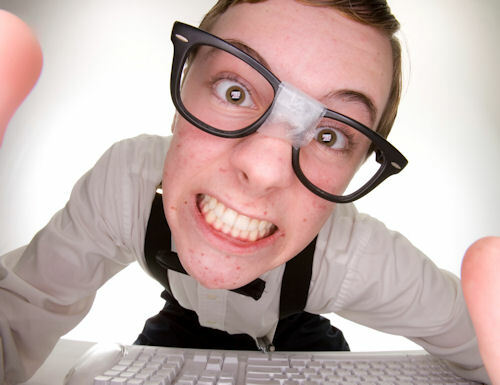 Many tweens and teenagers are concerned about how glasses will affect their appearance, whether they will be made fun of (which unfortunately is a legitimate concern – kids can be mean! ), how they will manage with a new responsibility and what the implications will be for sports and other activities. Many tend to overlook the miracle of clear vision for the perceived negative impact the glasses may have. If your child would rather suffer with blurred vision, headaches and even trouble with schoolwork than wear glasses, the good news is that there are options that even the “coolest” preteen or teen might find acceptable. Fashion eyewear: It has never been more fashionable to wear glasses than it is today – just take a look at Hollywood's red carpet. Encourage your child to seek out a look or a celebrity style they like and have your optician help to find that. The optician and optometrist can recommend what shapes and materials are available for the lens Rx, while your teen can have fun with the color and style. Or just browse around at the plethora of fun styles available for teens these days. "Make it fun and encourage your preteen to be excited about their new purchase. If it is within your budget you may even want to consider purchasing two pairs so he or she can have a choice depending on mood and wardrobe. Is his or her prescription and eye health suitable for contact lenses? There are a number of conditions which prohibit contact lens use or require special lenses. Check with your optometrist to find out what options exist for your teen or tween. Does he or she have any preexisting conditions that would make contact lens wear uncomfortable? Individuals that have chronic eye conditions such as dry eyes, allergies or frequent infections may find contact use uncomfortable or irritating. If your teen or tween would like to consider contacts, you should schedule a consultation with your eye doctor and try a pair for a few days to see how it goes. Alternative options: In some situations there may be other options such as vision therapy or Ortho-K (where you are prescribed special contacts to wear at night that shape the cornea for clear vision during the day) which could result in improvements in vision. Speak to your optometrist about what alternatives might exist for your teen or tween.